One popular argument that can often be found in the religion Vs science arena is “You can’t put god in a test tube”. This is sometimes also echoed as “you cannot put god on trial”. The idea behind this claim is to defensively throw out any and all logical questions and doubts about god’s existence, by asserting that god’s existence is not subject to such logical scrutiny. 1. It is a classic example of the religious confusion between science and some of its tools. 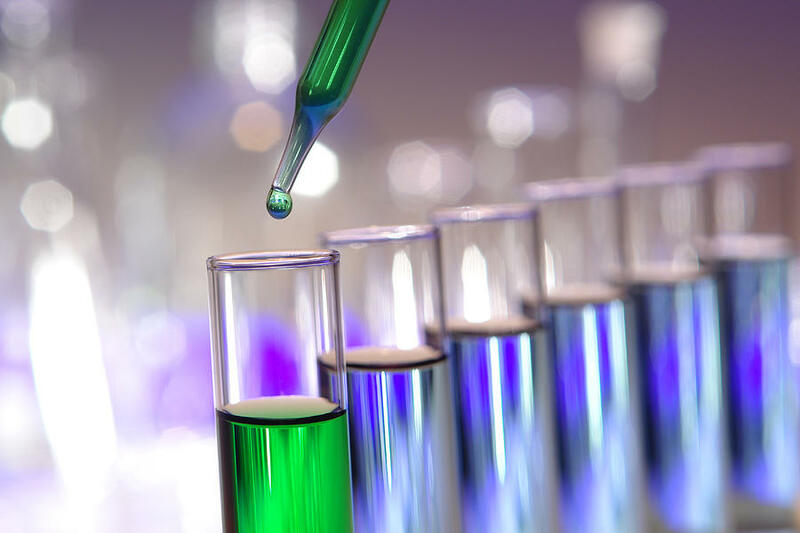 Science is simply our best attempt to figure out what is objectively going on, and test tubes and labs and mathematical formulas are some of the tools that are sometimes used for this purpose. This is also the same purpose in the legal arena, where the religious have a similar confusion between the goal of figuring out what objectively happened, and some of the tools that are employed for this purpose – trials, courtrooms, evidence, etc. 2. This common religious claim is a self refuting one. This is because it attempts to make an objective truth claim that dismisses the most important tools we have for establishing the truth and objectivity of claims in the first place. This is exactly like telling someone “believe me – you shouldn’t believe anyone”. It undermines the objective basis on which it attempts to establish itself. This last point is perhaps the most important one because it cuts straight to the religious confusion between objective and subjective truth. The scientific process is brilliantly designed to filter out subjectivity and bias. Only claims that pass this filtration process, and the various other attempts to falsify them, will be declared as objectively true. The implication behind the religious claim that you cannot use science to prove god is that god is so self evident, powerful and important, that you cannot subject him to such febal man made tests. But this is yet another paradoxical implication because the more self evident, powerful and important a thing is, the easier it should be to establish its objective existence. It isn’t that the scientific process isn’t strong enough for establishing god’s existence, it is the other way around – god’s objective existence is not a strong enough to withstand the scientific process. To claim that science cannot be applied to god is to admit that there is no way to prove that god objectively exists.